At the launch of the North Kerry Way walking guide were John Griffin (Tourism Officer, KCC), Helen Fitzgibbon (North Kerry Way Committee), Cllr Jimmy Moloney, Cllr John Lucid, Abbey Murphy (neé Cummings) (KCC), Ogie Moran (North Kerry Way Committee), Cllr Mike Kennelly, Joan McCarthy (Head of Tourism, KCC), Andy Smith (KCC). A NEW walking guide for the North Kerry Way between Tralee and Ballyheigue has been designed and produced by Kerry County Council. The guide focuses on the attractions of the popular walking route and represents the realisation of an objective in the County Kerry Tourism Strategy and Action Plan. 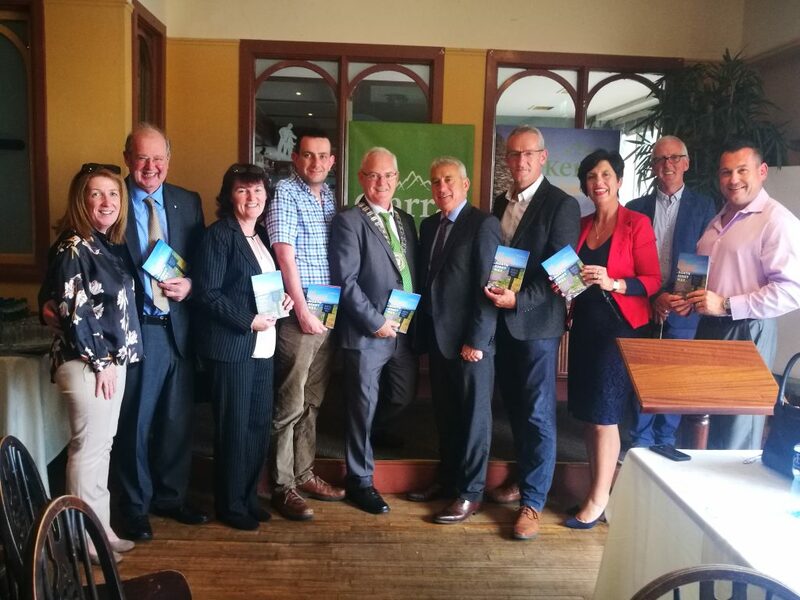 The new guidebook which was launched by the outgoing Cathaoirleach of the Listowel Municipal District, Cllr John Lucid, serves as a companion on the walking route and identifies places of interest. The route takes in Tralee, Blennerville, The Spa, Fenit, Churchill, Barrow, Banna, and Ballyheigue. 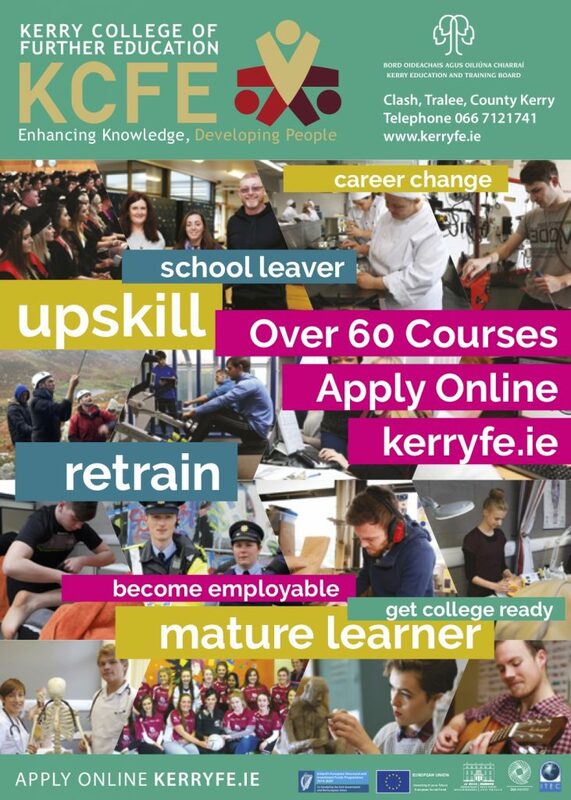 The guide was designed and produced in-house by Kerry County Council’s Tourism Unit with the support of the Department of Rural and Community Development and the Outdoor Recreation Infrastructure Scheme and with the assistance of the North Kerry Way Committee.